ROAD TOWN, Tortola, VI- On the heels of mounting talks of self-determination, the United Nations (UN) Decolonisation Committee recently reaffirmed the Virgin Islands’ inalienable right to self-determination. It also further reaffirmed that it is ultimately for the people of the Virgin Islands to determine freely their future political status. The UN body also called on the United Kingdom, in cooperation with the Government of the Virgin Islands and appropriate bodies of the United Nations system, to develop political education programmes for the territory in order to foster an awareness among the people of their right to self-determination. The Special Committee on Decolonisation, also known as the Decolonisation Committee, was created in 1961 by the General Assembly of the United Nations with the purpose of monitoring implementation of the Declaration on the Granting of Independence to Colonial Countries and Peoples and to make recommendations on its application. 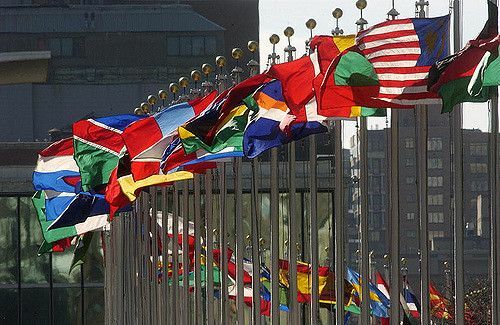 Hoping to speed the progress of decolonisation, the General Assembly had adopted in 1960 the Resolution 1514, also known as the "Declaration on the Granting of Independence to Colonial Countries and Peoples" or simply "Declaration on Decolonisation". It stated that all people have a right to self-determination and proclaimed that colonialism should be brought to a speedy and unconditional end. Talks of independence and self-determination have been rife recently from both sides of the political aisle as well as from ordinary citizens. Minister for Communications and Works Hon Mark H. Vanterpool (R4) and Minister for Education and Culture Hon Myron V. Walwyn have been leading the call for self-determination on behalf of the ruling National Democratic Party (NDP) Administration. And Premier Dr The Hon D. Orlando Smith finally weighed in on the conversation on July 31, 2016 during the Emancipation Service held at Sir Rupert Briercliffe Hall, stating that with the recent Brexit vote by the United Kingdom, which would affect the Virgin Islands, now may be the ideal time to examine the topic. He, however, reminded that self-determination was not a priority on the agenda during the constitutional review in 2007. “In fact, as the chairman of the commission recently reminded us, that subject was treated with just a couple of sentences. But he also reminded us that any decision for independence must be made via referendum – by all the people of the BVI together. But who knows? That priority might change,” Premier Smith had said. Leader of the Opposition Hon Julian Fraser RA (R3) has also called for the conversation about self-determination to begin, noting that the territory’s leaders must have a clear understanding of what the people want. And also at the Emancipation Service recently, Reverend Melvin A. Turnbull called for the establishment of a Commission on Independence to be made a priority by the current administration. “These times call for strong leadership. We the people must wake up and start the conversation,” Mr Turnbull said. Meanwhile, this news site sought to get comments from a cross section of persons on the publication by the United Nations Decolonisation Committee reaffirming the Virgin Islands’ inalienable right to self-determination, including Hon Fraser, Natalio D. Wheatley and Julio S. Henry, but did not receive a response up to time of publication. Ay, So even VINO trying to push this. Come on VIslanders. The only way the NDP and VIP will be able to dictate what we can and cannot do is to have the people vote for such a thing. I know our people are smart. There is a reason these people are pushing this agenda. Do not fall for it! Stand firm! They want us to give up our birth right so that they could take over our country. Lol, they would have to get our vote first- never that! 's budget, for example we would vote on the airport project!!!!! Would consider certain changes or enactment of laws also, basically a partnership with the people, not the system we currently have now. Not even then. We are British overseas territory citizens and we intend to stay that way. According to the document the UN didn't even reaffirm anything like that. First thing freedom of information. Refrarandum on major projects. All the people must decide. Only indigenous Virginislanders in the house of assembly.. We do not want to take that chance with the dictatorship we are under now. These politicians must first be accountable to the people who have them hired. The country and money belong to all of us. We must determine how it is spent. Look at all the countries in the caribbean that are independent all of them citizens for the most part are broke and poor. Migrating all over the world never wanting to return home. The people of this country have been calling out to the UK to stop the bad spending and to officially investigate Can you imagine how BVI would be if we were independent where our leaders would have a constitutional right to be dictators. We don't want independence we want answers on how our country got broke. given the secrecy, lack of protocol, transparency, etc. why would anyone want this government to go unchecked? Thank goodness for UK for questioning how the airport is being considered. There isn't a sane (or humble) legislator in the lot! NDP just want independence to squander. We are British and we like it so! No NDP independence to squander thank you! I was unaware of the existence of a debate about whether or not the VI's has a right to self-determination. I had assumed it was a given fact. The debate, I thought, was whether or not the VI's has the means for self-determination. That is, can the VI's economy sustain itself with absolutely no industry or exportable commodities? Financial services are moving away and tourism is dwindling and will only suffer as the environment deteriorates from over-use and lack of forethought into adequate conservation programs. We are not equipped for self-determination. We are foreigners in our own country. Until that wrong is made right, we cannot make any progress. True Virgin Islanders (those who can trace their bloodline), wake up from your slumber and educate yourselves. We have to fight collectively for our country and for our betterment. The "guests" in our country need to understand that they are guests. We can't relocate to their respective homelands and be treated like royalty. A freeze needs to be instituted on citizenship or any type of status that is being granted especially to those who are ungrateful and don't have a good word to say about the Virgiin Islands. Stop employing these ungrateful people,especially in our schools. Rick has some comments above that is food for thought.